FSN 2013 THE FINAL– Highlights vid HERE. 6.30pm Sunday July 7th 2013 at Rock City (the main arena), free as always, 14+, no tickets needed just rock up. You can hear the six acts finalists on the New Music Podcast HERE. As always all key announcements will be made first via the Nusic New Music Podcast. The results of Round One of The Future Sound of Nottingham 2013 are live, listen via the brand new NEW MUSIC PODCAST. Voting goes live after 11pm on Tuesday 28th May 2013. The facebook app we use for voting requires you to like our Nusic fanpage as a way to prevent cheating via multiple voting. You can NOT buy votes. The app we use offers us as admins the equivalent of google adwords where as the admin we can buy interest in the vote, they basically advertise across facebook until a certain number of votes are reached. We don’t use this feature, and musicians in the comp have no access to it. – You’re using your phone. – You voted in previous years, have not cleared your cache/ cookies in the last year and so the App thinks you’re trying to cheat and vote twice. – The FBI have blacklisted you, a SWAT team is probably already at your door. ENTRIES RECEIVED pre the 11.59pm Monday 20th May deadline are acknowledged HERE. 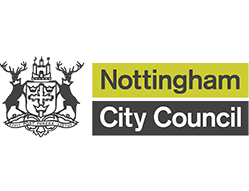 YOU MUST BE FROM NOTTS – This means you (if more than one of you the majority of you i.e half or more) either LIVE (studying at Uni DOES count) in the Great County of Nottinghamshire and/ or Great Nottingham Urban Area, and/or were born/ brought up here (whilst now living somewhere else e.g. you are at Uni elsewhere). You must cite Notts as your hometown on all social media (we will check), you are allowed to state more than one place e.g. Notts and London. Group One -Those who have won/ headlined any previous NUSIC or NOTTS UNSIGNED competitons. For the avoidance of doubt this means THE AFTERDARK MOVEMENT, KAPPA GAMMA, KAGOULE, THE MONEY, LONG DEAD SIGNAL, DOG IS DEAD, FRONTIERS and THE TURF. Previous runners-up and finalists can enter. Group Two – Any artist already on the bill for THIS year’s Splendour. Group Four – Artists who only play covers, no covers are allowed to be entered or performed, FSN is all about encouraging original song writing. ENSURING NEW TALENT GETS A CHANCE – No more than six artists who have already played Splendour can make it through to the Semi-Finals. JUDGES – Still being firmed up as we go to press. As always we will put together a panel of the most ‘able-to-help’ industry peeps we can find in Nottingham, this means whether or not you ‘win’ you get your material heard by people who can help you. Our only concern with the panel is filling it with people who can help you, reflecting the broader music industry this does often result in our panels being quite male dominated. MARK DENNIS – DHP’s Head of Marketing. MIKE ATKINSON – freelance writer with outlets as diverse as LeftLion, Nottingham Post and The Guardian (Oh darling). PAUL KLOTSCHKOW – Music Editor for our bros and hos at LeftLion. PETE FLETCHER – Head of Denizen Recordings, Denizen being part of Confetti Media Group who are our hosts for the evening. JUDGING PROCESS – Each judge will mark each act out of ten twice, after listening to one track from each artist without knowing who the artist is. The first mark will be for ‘raw talent’ as perceived by that individual judge. The second mark will be for ‘ability to nail it playing the main stage at Splendour’ as perceived by that individual judge. Scores from the judge giving the highest score will be excluded (explained below). The other three Judges will have their scores all added together giving each act a final mark out of 60. The top two (subject to the criteria outlined above and below) acts will go straight through to the final (see ‘Indiana Rule’ below), the next eleven acts go through to Semi-Finals (public vote). The twelth act in the Semi-Final public vote will be the SPREADTHELOVE winner. None of the Nusic team vote. WHY DO YOU EXCLUDE THE HIGHEST SCORE? – It’s about ensuring independence and fairness. We want our judging process to be impartial and independent, striving for that over time we have realised its IMPOSSIBLE to put together a judging panel of individuals with knowledge of the Nottingham Music scene who do not have connections with musicians in that scene, everyone has their favourites. By excluding the top vote you make sure any ‘freak’ 10 out of 10 given to the act who features one of the judge’s neighbour’s sons does not bias the result. This score will only be used if there is a tie. – One member of Loophole Project is a Nusic Volunteer. – Elena Hargreaves is the sister of a recent Nusic Volunteer. Both of the two volunteers linked to entries were ‘firewalled’ from the judging process, niether were present at the judging and niether was aware of the result until now, just like you. The final twelve will be announced on Mon 27th May via the New Music Podcast. The judges decision is final, by entering the competition you agree to accept this and all the above. WHAT’s THE INDIANA RULE? – Across the three rounds of FSN we try and mix democracy (public votes) with expertise (Judge votes), we feel this has worked quite well since 2009 indeed last year the FSN winners THE AFTERDARK MOVEMENT were in the top two in all three rounds, but we are always trying to make it better. Last year we had an extreme case, an incredible raw talent who’d never done a single gig in her life entered the competition and rightly (as shown by her subsequent success) won Round One (the Judge vote) by a mile. Despite her clear stand out talent she did not get through round two, she was so new she had no following yet and not enough neutral voters took part to see her through. As Nusic is all about uncovering new talent we were frustrated that FSN was not able to ‘cope’ with such an extreme scenario (by extreme we mean so good whilst simultaneously so unknown, thereby winning round one but totally out of it in round two), so we’ve brought in a new rule. The top two in the Round One expert vote will get automatic byes through to the final. The public vote is open from 11pm Tuesday 28th May through to 11.59pm Wednesday 5th June (2013). It will be an ‘open’ vote (in that you can see who is winning) until 11.59pm Monday 3rd June. At this point we intend to (technology allowing) make the vote private, this will build some tension and drive audience to the NEW MUSIC PODCAST (giving more exposure to more musicians) where we will announce the results exclusively 11am Monday 10th June 2013. Re the earlier point re solo artists. At least two solo artists must make the final six. COURTESY OF THE INDIANA RULE (see Round One rules) ONE SOLO ARTIST HAS ALREADY MADE THE FINAL. So if four bands (definition = non session musician featuring musical combos of two or more) take the top four places in the public vote then the 4th place band will be replaced by the highest placed solo artist. The Indiana Rule means two artists are already in the final. Therefore the twelve artists in the Semi-Final vote will be competing for four places. BREAKING NEWS – Due to a triple tie for the final place in the semi-finals there are fourteen artists in the Semi-Final vote. – Gives you a chance to perform in front of connected, important music industry players, on the Nottingham level this Judging Panel is huge, pretty much every major player in Nottingham is represented. This in itself is a big opportunity regardless of the result. For example nearly every year an artist has been signed (to label or management) by one of the judges. Harleighblu – Local musician signed to one of the UK’s leading Independent labels. We are aware the judging panel is not massively diverse. 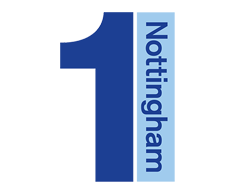 Our brief was to curate a judging panel full of the Nottingham residents most able to help our finalists, demographic diversity was not a deciding factor. – Stage Presence – swagger, X-Factor, engagement with audience.